Blog / Ohio solar: How many solar panels will I need for my home? There are several questions that go into building a solar panel system customized for your home. One of the most fundamental questions for Ohio homeowners to ask is: How many solar panels will I need? To answer it, we at Power Home Solar like to ask one of our own: How much power do you want delivered? Customers can choose how much of their power bill they want offset by solar. That is to say, the more panels you get, the more solar energy your panels can produce and the less you pay your power company. You can shoot for offsetting 100 percent of your power needs with electricity from your panels, or you can choose a distribution of both solar and grid power at percentages where the price feels most comfortable. It’s up to you. But other things also factor into this solar equation, including the size of your home, the amount of power you currently use and where you want panels placed on your roof. Generally speaking, the smaller your home, the fewer panels you’ll need. For rooftop installations, the best place to install panels is on the south side of your home, where sunlight can hit all day. Panels facing either east or west likely are your next-best options. If you don’t want the panels on your roof, we do ground-mounted units too. Shading is also factored into our proposals, because shade affects solar production. In short, we can accurately estimate how much solar power your system will offset over an entire year. Furthermore, our energy efficiency package, which comes with every solar system installation, means you won’t be paying for panels you don’t need. The five things included in that package are additional blown insulation in your attic, a thermal blanket for your hot water heater, a Nest thermostat, LED light bulbs and an attic tent. The benefits of going solar go beyond the savings Ohio homeowners will enjoy. You’ll be doing your part to help save the environment with clean, renewable energy that is not reliant on finite natural resources. Power Home Solar would be excited to show what a solar panel installation can do for your home. 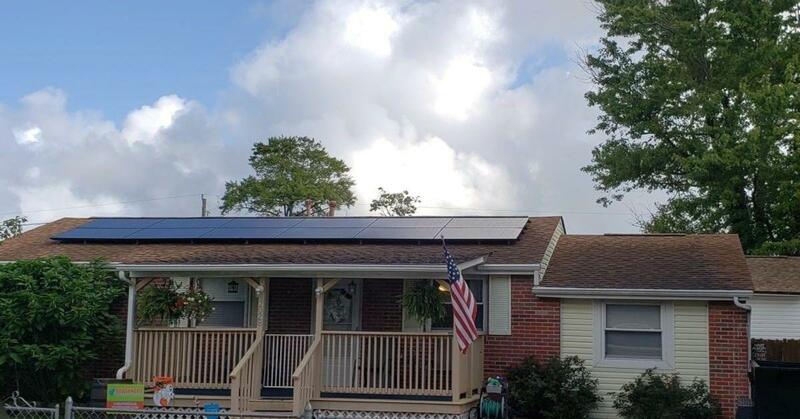 With our innovative solar program, Ohio homeowners can go solar for $0 up-front cost, save money on their electric bills, and generate their own energy. The solar panels installed on your home are American-made and come with a 25-year warranty, with many panels expected to last well beyond that. Please feel free to fill out the form below or contact Power Home Solar at 800-765-2715, and one of our solar representatives will help you determine whether your home qualifies for this solar program.